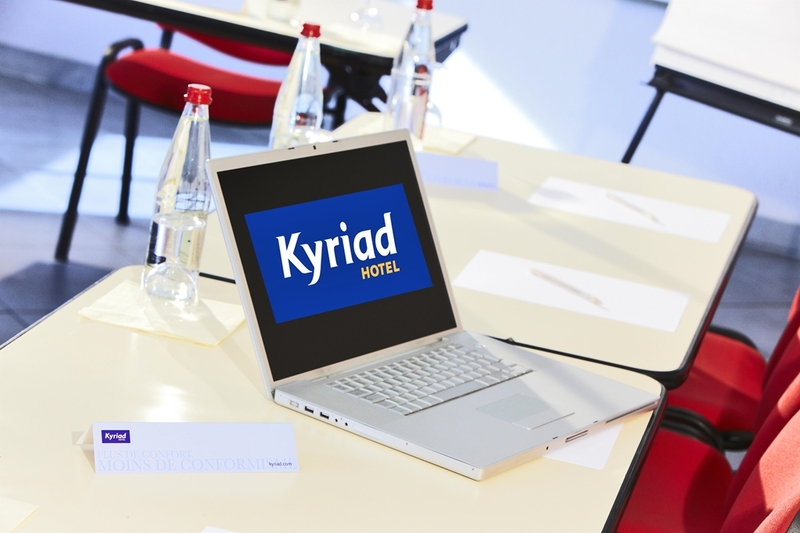 Our 3-star Hotel-Restaurant Kyriad Toulon-Est – La Garde is happy to welcome you 24 hours a day for your business trips or vacation stays. 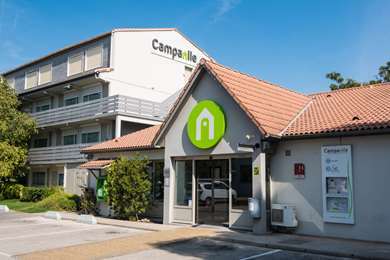 Located in the heart of the business area near Toulon Est, near exits 5B and 6 off highway A57, near the university, and just a few minutes from the downtown areas of Toulon, La Garde and Hyères, our hotel is a strategic location for exploring the area. You will be near the piers for the ferries to Corsica, Porquerolles Island and Port-Cros. 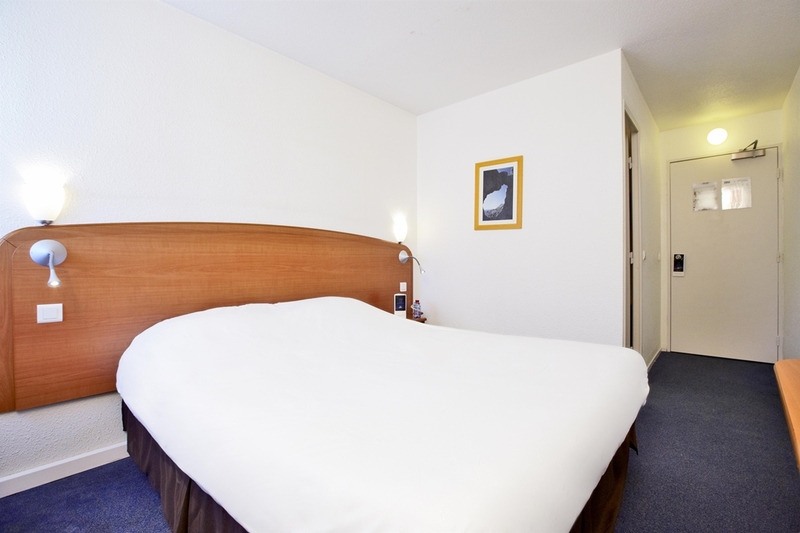 You will be well located to benefit from the numerous attractions in our region. 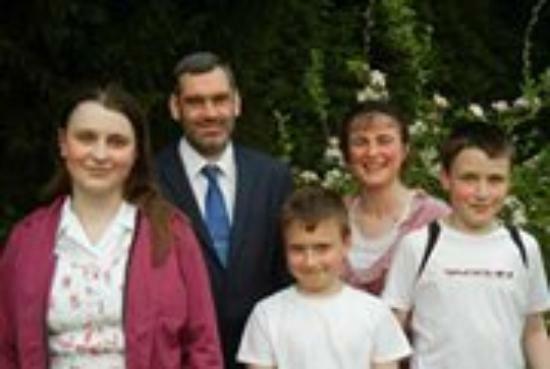 There are plenty of activities close to the hotel. Our establishment has a parking lot that is closed at night and an outdoor swimming pool for the summer season. 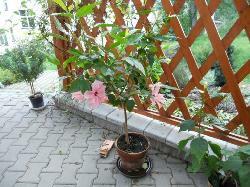 The swimming pool is bordered by a tree-lined garden and a terrace where you can enjoy the nice weather. 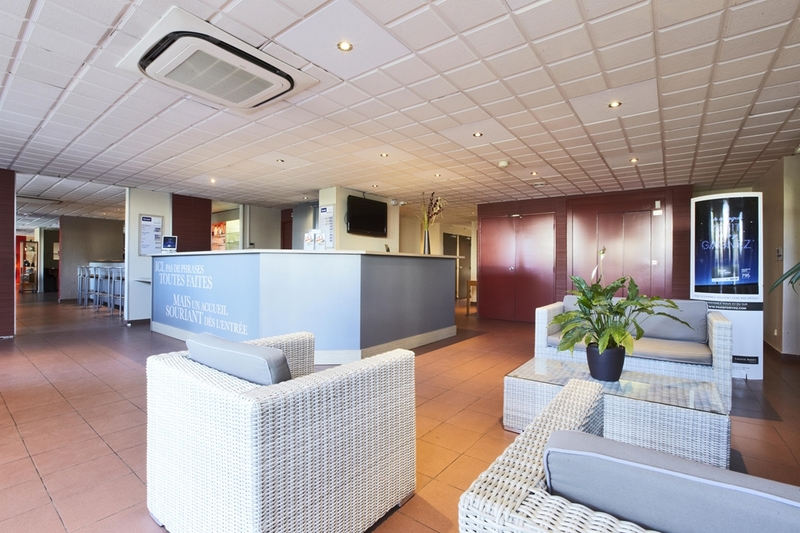 Our hotel also has a lounge space where you can order refreshments and relax. The lounge space is open 24 hours a day. 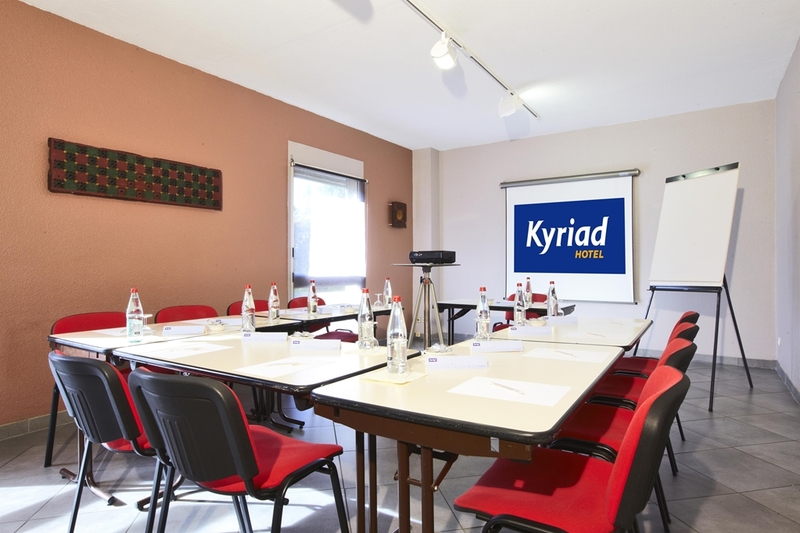 For your business meetings, we have 2 seminar rooms available for reservation. 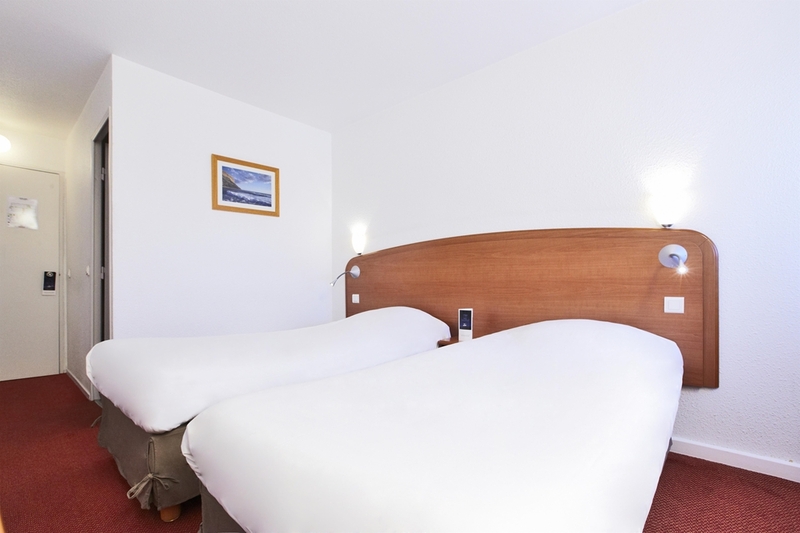 Access to the common areas, restaurant and meetings rooms are specially adapted for people with reduced mobility. 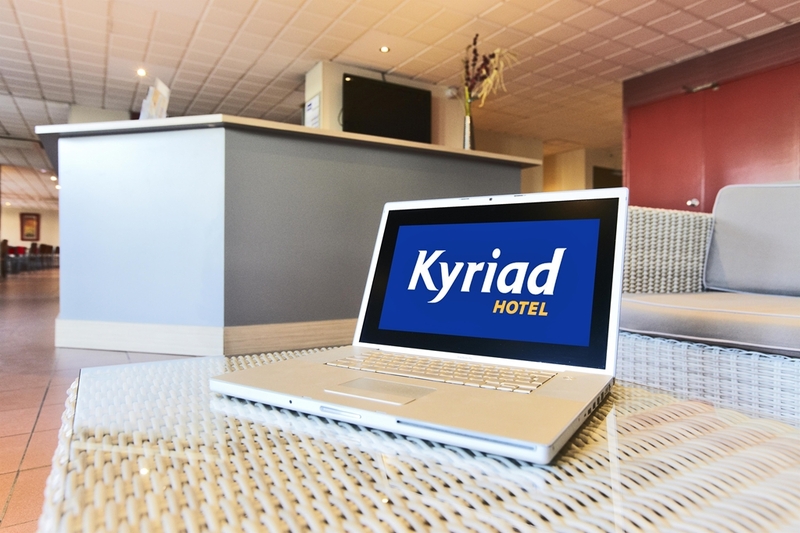 Our 3-star Hotel-Restaurant Kyriad Toulon-Est – La Garde offers 41 comfortable rooms, including 2 with a double bed and 19 with 2 single beds. All our rooms are non-smoking. 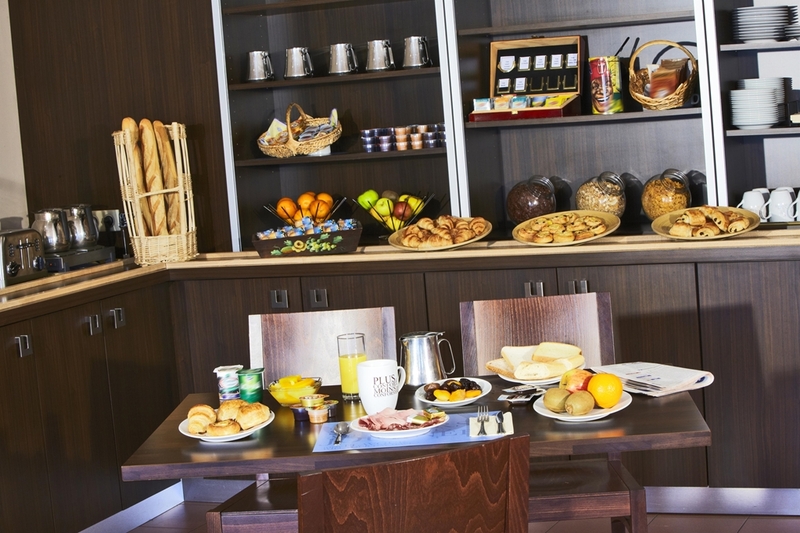 To better welcome you and allow you to relax on your arrival, a courtesy tray with a kettle, tea, herbal tea and coffee awaits you in your room. 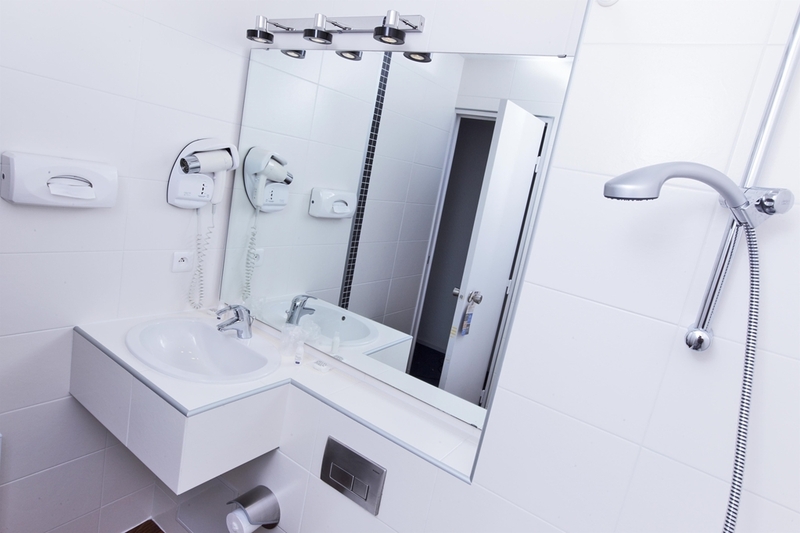 All our rooms are equipped with a private bathroom with a bathtub (hair dryer provided). 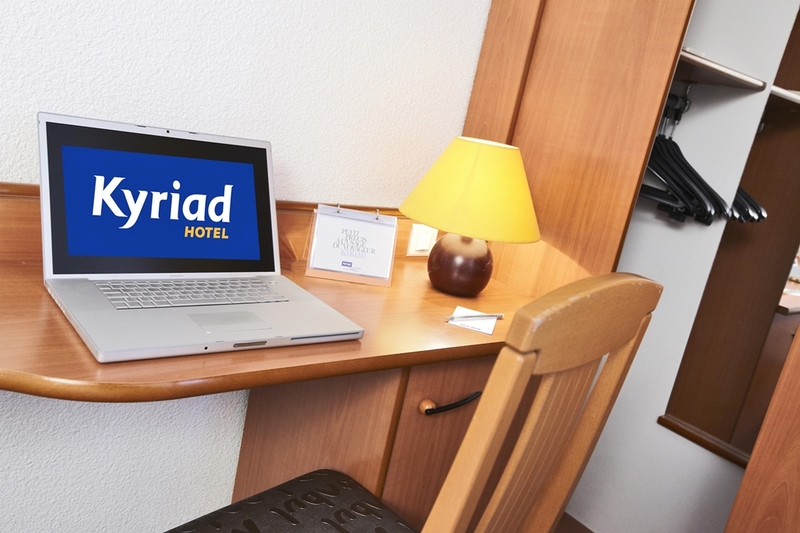 All rooms are air-conditioned and equipped with a 26-inch flat-screen TV, free Wi-Fi and a desk with a telephone. For your comfort, all windows in our hotel are outfitted with electric shutters. 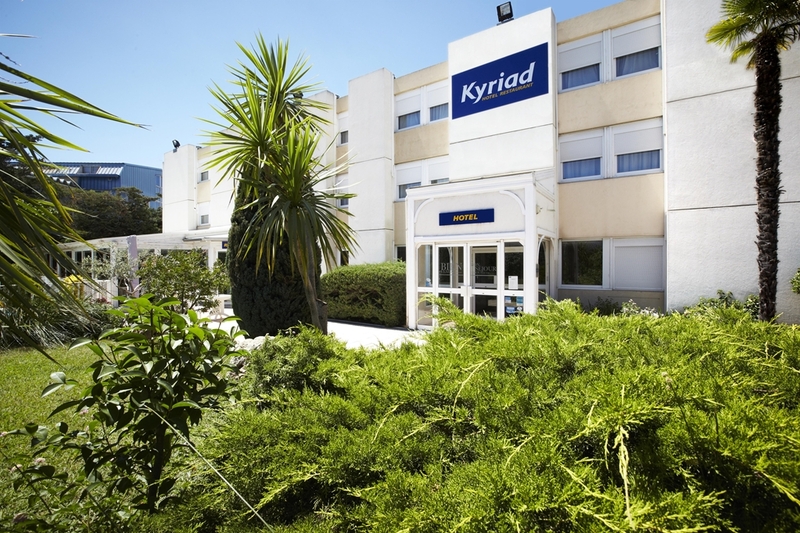 Every morning, Hotel Kyriad Toulon-Est – La Garde invites you to take the time to enjoy an all-you-can-eat breakfast buffet directly at the hotel. 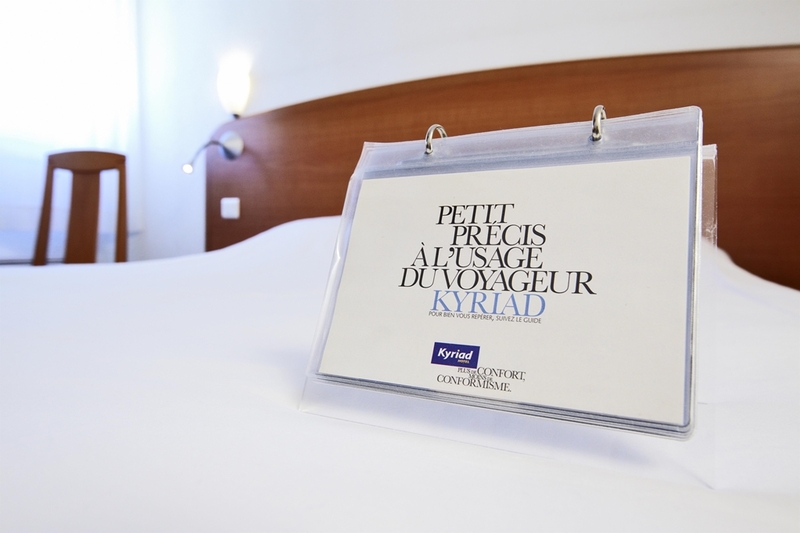 For dinner, go to our retaurant at Hotel Kyriad Toulon-Est – La Garde. 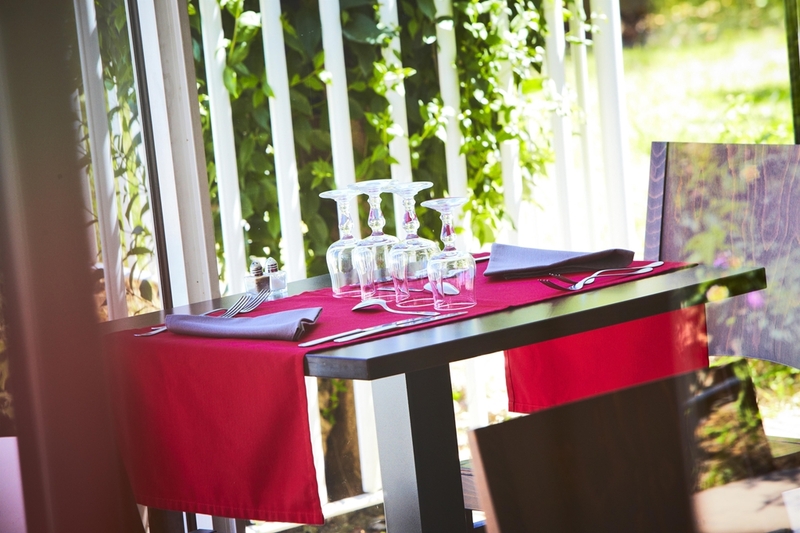 On the menu you will find flavorful regional cuisine lovingly prepared by our chef. 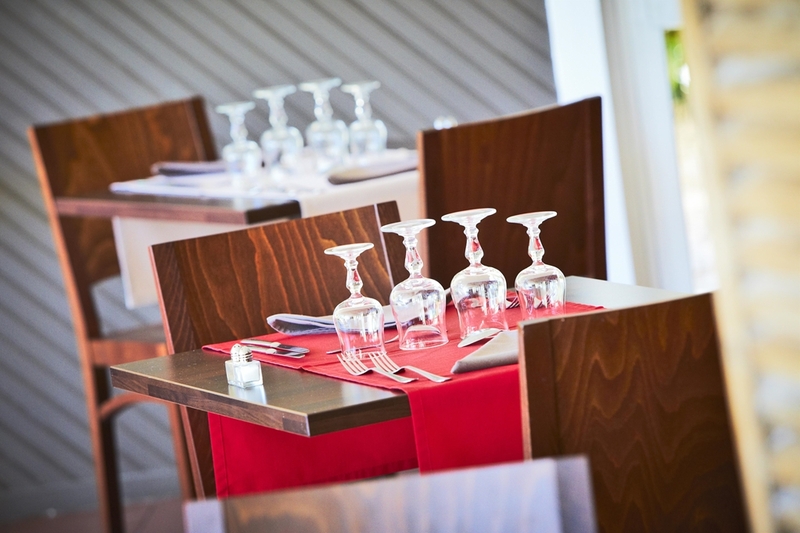 If you need room to organize a business dinner or event for your association, don't hesitate to contact us: we can help you accommodate up to 90 people. The hotel also has a bar where you can relax and get together. However, please note our restaurant is closed in the summer and on holidays. 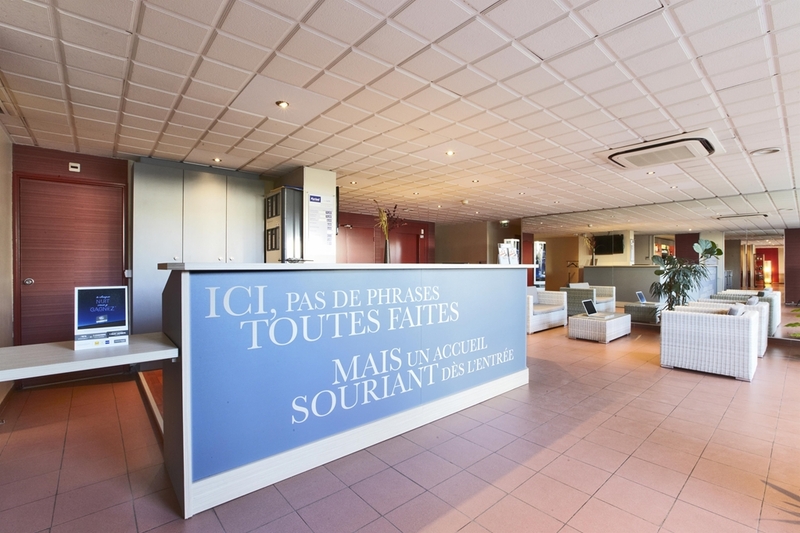 • Two meetings rooms, one of 387 sq. ft. and the other one 495 sq. ft. The capacity for the 387 sq. ft. room is 15 people in U mode, 14 in school mode, 30 in theater mode, and for the 495 sq. ft. room, 22 people in U mode, 24 in school mode and 50 in theater mode.